Over the past couple of years, America has been given the chance to watch one talented young lady grow up and develop her extraordinary talents. 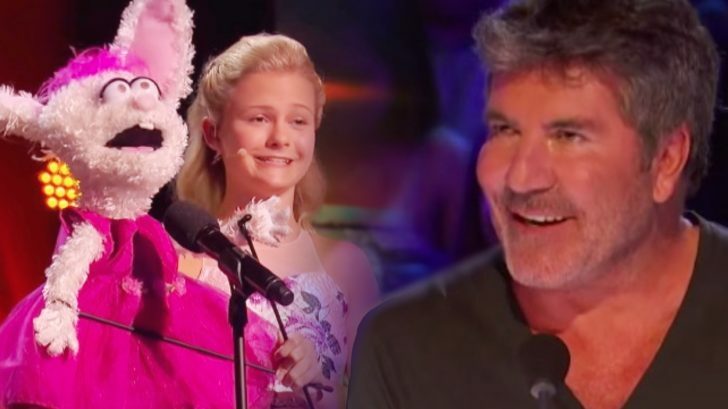 Darci Lynne Farmer was only 12 years old when she first stepped on the stage for America’s Got Talent, but quickly proved that her age did not limit her talent. In addition to being a singer, Farmer is also a ventriloquist. She first amazed the judges by performing a routine with her puppet, a girly rabbit named Petunia. Instead of simply talking as Petunia, Farmer also sang in her unique voice, on top of taking time to sing in her own voice as well. As you would anticipate, the performance blew the judges away. She received judge Mel B’s golden buzzer, which sent her straight into a more advanced stage of the competition. Farmer proved herself worthy of that golden buzzer throughout the rest of her time on the show. She stepped up her game each and every week, and eventually found herself in the finale. During that time she had the chance to perform alongside past AGT winner and her personal idol, ventriloquist Terry Fator. The two sang a duet as their puppets, and Farmer proved she could hold her own against the seasoned performer. Like Fator did years prior, Farmer went on to win AGT. A successful nationwide tour and her own NBC Christmas special have kept her busy, but she decided to add one more thing on her plate. In early 2019, Farmer appeared on the new AGT spin-off, The Champions. The show pulls in some of the most extraordinary competitors from all Got Talent shows around the world and has them compete against each other. Farmer wowed the judges with a medley performance she performed with her puppet, Oscar, but didn’t get a golden buzzer that time around. This was important, as the voting system on The Champions is different than the normal show’s. Only two competitors were able to move on each episode, with a judges’ golden buzzer pick earning one of those coveted slots. The other was left to “superfan” vote…a new system that polls mega fans of the show to determine who should move on in the competition. To much surprise, Farmer did not receive the superfan vote, and was eliminated from the series. However, her time on the show was not over, as she was one of two acts to receive the judges’ wild card, an invitation to come back and compete again as a member of the Top 10. Of course Farmer accepted, and this time she pulled out all the stops to make sure she proved herself to the superfans, as they will determine who wins the series. Instead of singing an older pop, jazz, or country song like she tends to do, Farmer stunned the judges by selecting “O mio babbino caro” to sing, which comes from the opera Gianni Schicchi. It goes without saying that opera isn’t easy to sing. So imagine how challenging it must be to sing it while keeping your mouth closed and performing in the voice of a character! That’s exactly what Farmer did, hitting the highest of high notes with ease even though her mouth was completely closed and she was using the voice of Petunia, rather than her own. As you would expect, the judges were blown away, especially Simon Cowell. We agree that this is a standout performance from Farmer! You must check it out in the clip below, because it’s extraordinary!